Even before we moved to our house, I already have major plans for our unfinished basement. I know i'm gonna have to fix it without having it fully finished because I know we don't have the budget for it. But I really really want to fix it and make it look prettier than some fully finished basements. 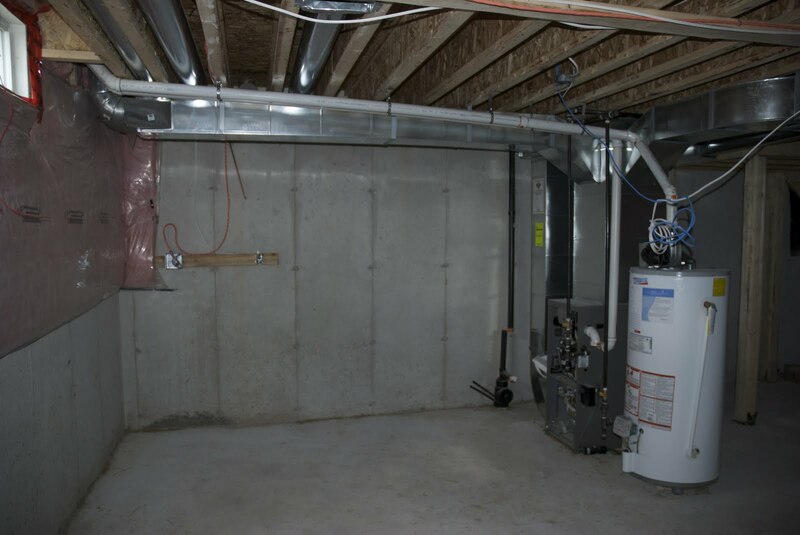 How can I possibly turn this unfinished basement to a usable space and make it look good without the framing and drywall. 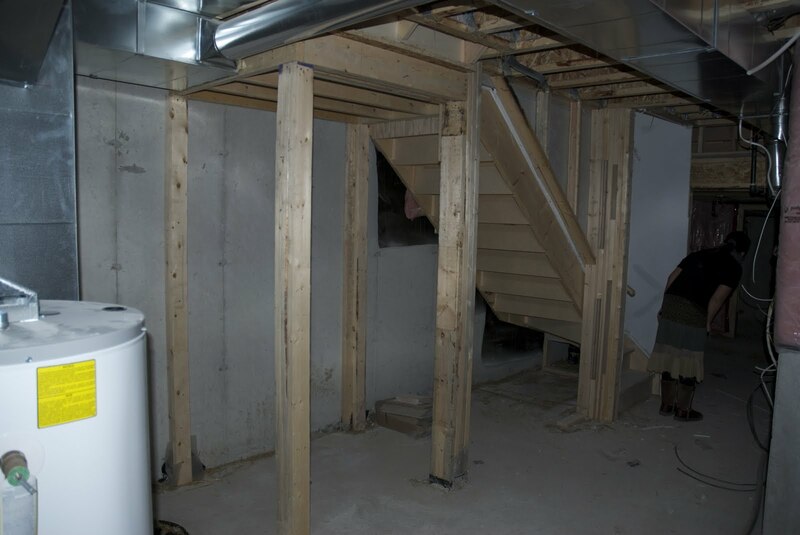 Every time I go to our unfinished basement, I think of my big plans for it, but the harder I look at it, I was beginning to doubt myself. And on top of that, I had to come up with a plan that I can turn our unfinished basement into a usable space on a shoestring budget! goodluck with that! Ah Well, I had a dream of making it pretty, so I did it my way! on a shoestring budget! 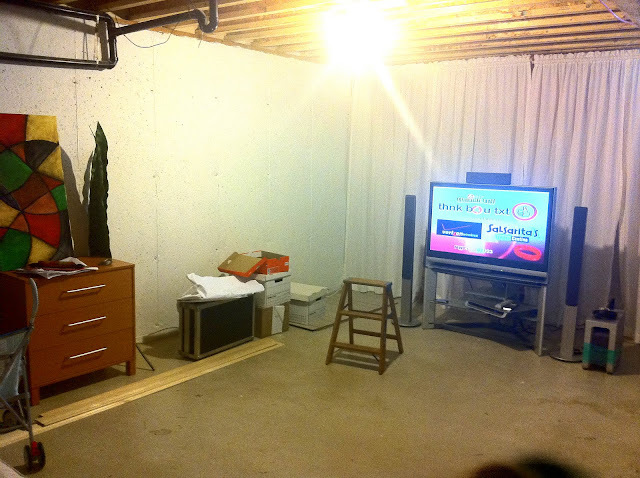 This is how our unfinished basement looked like before we even moved to our house. That is the space under the stairs, looks like a storage for me. Right? Main area of the unfinished basement. When you go down to the basement, going to your right is this kind of a low-ish headroom area and through that door is a cold room. Call it whatever you want, its a storage room for me. this is the hallway. The first thing you see when you come down to the basement. More of our stuff. Bins! bins! bins! this is how the low headroom area looks like now. We will turn this into a work/craft area sometime soon . Dont worry I will show how that turned out. The other side of the work/craft area. Lots of crap! I wanna cry! This is the main area now. I started painting the wall white using concrete paint on the side. Before I started anything else in our unfinished basement first thing I did is I painter the concrete floors with a basement floor sealer that I bought from home depot. Go to the paint section and ask them for a basement floor sealer. For the walls, I used a concrete paint for basements. This is the first coat of paint I did on the wall . I had to do it few more times. I made sure I painted it thick to cover the holes in the concrete walls. This is how I covered the walls. 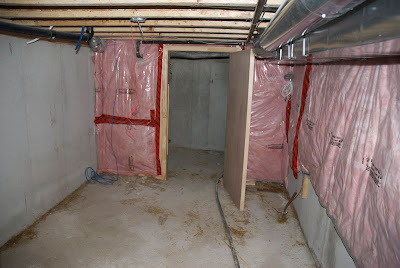 Since framing, insulation and drywall is out of the picture, this is how I covered the walls of our unfinished basement. Materials: hooks, twisty, wood, and fabric. The fabric, I sew it into curtains. If you want to make it easier you can use white plastic and you dont even have to hang it like curtains. You can staple it into the wall. If sewing is not an option, you can still use fabric, get the right measurements and staple it into the walls. I used white fabric and paint. I want to make the unfinished basement as bright as possible. From dark concrete grey walls with all walls covered and painted. It is now bright as a sunshine! Our little princess can now play! Its not even done yet and she's taken ownership already! tadaaaa!!!! this is how the main area looks now! All the walls in the main area are all covered and painted. Crap mostly set aside, donated, recycled or thrown out. But this project is still far from over. I need furnitures to put those crap that you see on the floor. I have a cabinet waiting for me at my mother in laws house. Its free! yey! see you on my next blog when I'm done decorating our unfinished basement. hey let me know what you think! I wish you lived nearby, I could pay you to help me. This is exactly what I need to do to makeover my basement without a lot of fanfare. I am going to try to do the curtains from sheets it possible. My once gorgeous finished basement got destroyed from Hurricane Sandy.. I cant afford to finish it again!! I am going to try the curtain walls !!! benefits and maybe even a mini refrigerator! 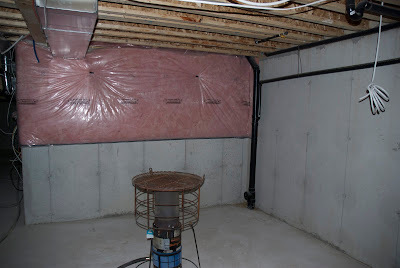 Basement Finishing Videos teaches you how to finish basement.If you are looking for basement finishing cost then basement finishing videos would help you. How to frame a basement to how to finish a basement , such questions would be solved. Heh. That assumes this is actually the original source of these photos. So many junk websites that have these photos... good reason to always watermark stuff you care about. That said though... it does appear to be the oldest instance of them that comes up in a google reverse image search. Hi! Welcome to my blog! My name is Zoe. and I love to make things pretty. I have a daughter who is about to turn 4 years old. I have a husband who is always thrilled to find out that I am have a new project! (NOT!!!). But seriously, he is always there to help. My brain doesn't stop thinking of projects to do in our small 2 year old home. Almost every corner from door knobs to ceiling and back, I want to make changes, remove or add something. I have so many projects in mind. I love to share them all with you. I hope I am able to help, inspire or give you ideas for your projects. I do everything on a very low budget, in other words on a shoestring budget, thus my blog name, house on a shoestring. Thats how I roll! I think Its part of the thrill too. Doing a project with a very low budget, sometimes no budget at all and still finish the project the way I want it to be. Please leave your comments and questions! I would love to hear from you! I will ask for your opinions too sometimes, I do need it too! Email add: houseonashoestring@gmail.com ttyl!